If you follow my blog, you will know that dancing is my secret passion after traveling, writing and running. I started learning to dance at the age of five, but I entered the realm of couple dancing two years back. 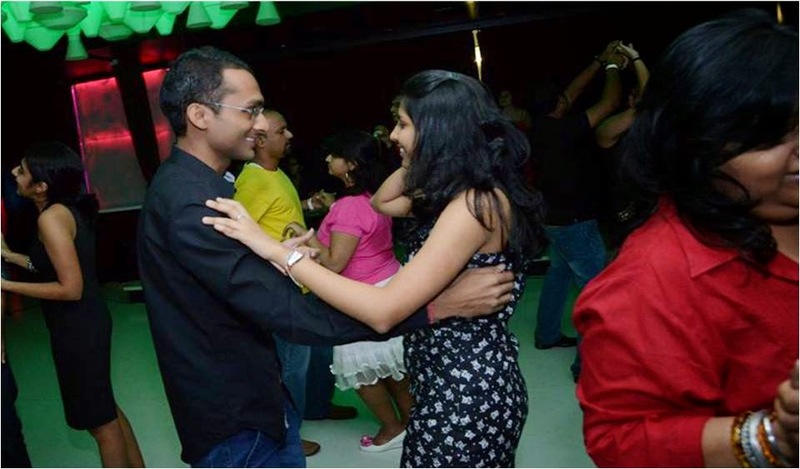 In early 2013, I joined Latin ballroom classes in Powai and learnt the delicate art of dancing the rumba. As my dancing improved, I advanced to higher levels, and went on to learn cha cha, jive, foxtrot, waltz, bachata, samba and paso doble. I also joined salsa to learn some street dancing. The best thing about joining the dance class (apart from having a great time, of course) was the grand party we would have every three or four months. This Latin party would be held at one of the best nightclubs in Mumbai where dance students from all over the city would gather to enjoy a night full of crazy dancing and mingling with dance students from other parts of Mumbai. 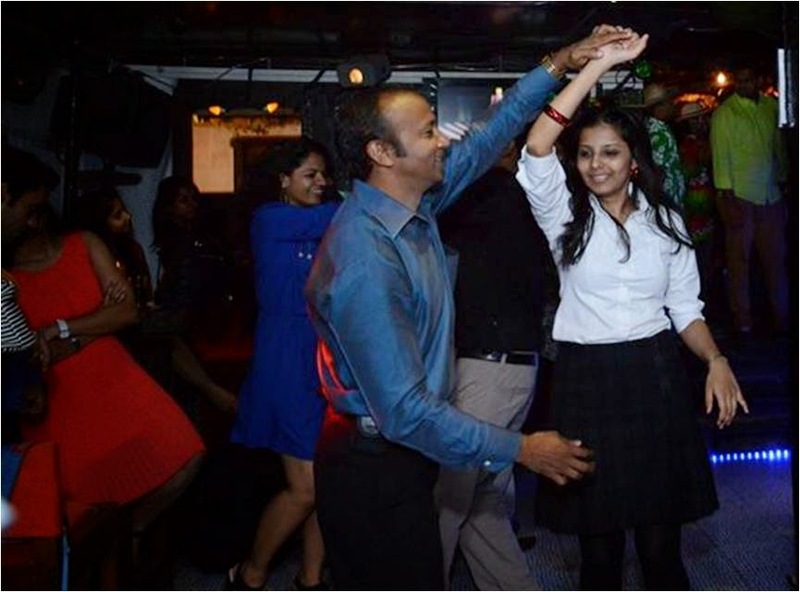 Through these dances, I had the distinct opportunity to taste the colourful nightlife of Mumbai. 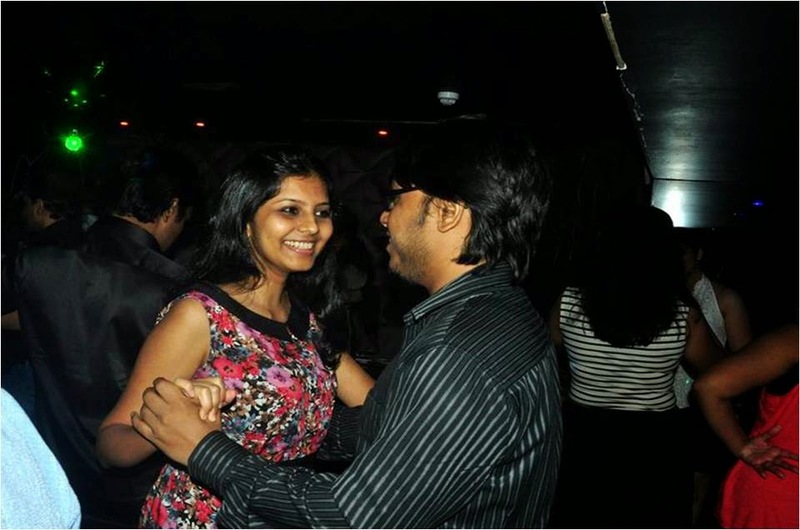 My first dance was at the Flaunt night club in Holiday Inn, a posh hotel in Andheri East. I remember how nervous I had been, worrying if I would remember my steps and be able to walk in my towering heels and swirl in my sheath dress. The glitz factor was very high on the dance floor - there were students from the advanced levels of Latin ballroom and salsa. They were decked up in glittering short dresses and wore makeup that shimmered in the lights reflected by the disco ball. I had started feeling a little out of place, but then one of my dance partners from the class spotted me and asked me for a dance. One dance led to another, and I forgot everything else when I realized how much fun I was having. I danced with several men that night, many, experts in the art! I even danced with a gal pal who sat alone without her partner who couldn't make it at the last moment. I have been to many a discotheque in Mumbai since, and have sampled the fine lounges and restaurants with ample dance floors in Powai, Juhu, Bandra, South Bombay and Andheri. Many of these places have a unique charm and an ambience that keeps your coming back for more. However, my first experience at Flaunt remains my favourite for it was there that I learnt to lose my inhibitions and dance like no one was watching.